One of my favorite times each year is when I get an email from Shivani of My Owl Barn telling me the new (and free!) Owl-Lover calendar is ready to be printed! 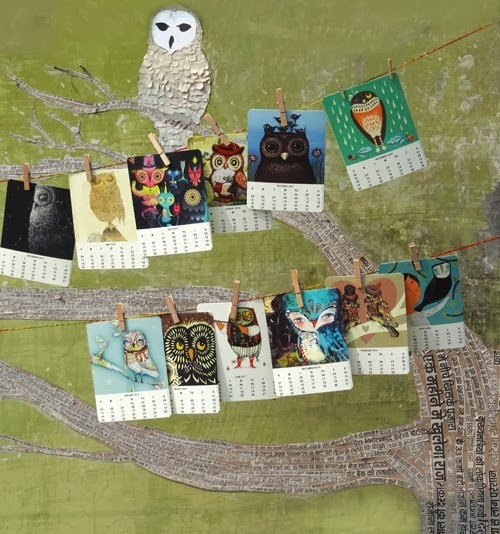 For those of you who might not be familiar with the project, each year Shivani gets 50 artists from all over the world to donate their time and talent so that we, the owl-lovers of the world, can customize our own calendar to print out and display on the wall. 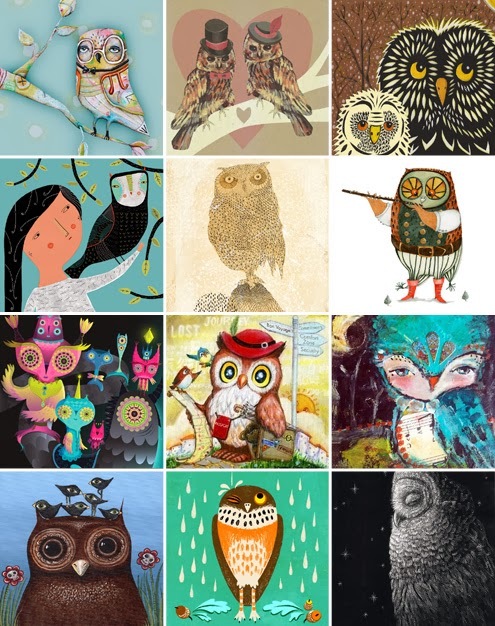 That's right; 50 original owl images from which we can make countless calendars (hello birthday presents! ), and then trim off the calendar part at the end of each month for free wall art. This is just the coolest thing!! I luv the artwork!